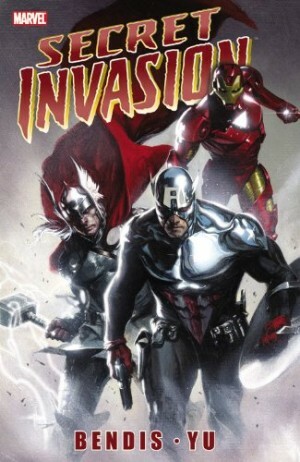 As the title indicates, much of this volume ties in with Marvel’s company wide Secret Invasion crossover of 2008. 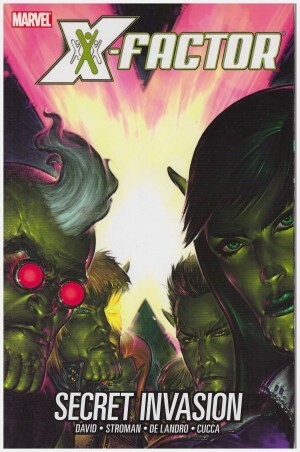 And as the three chapters of ‘He Loves You’ spread into X-Factor, which Peter David was also writing at the time, they can also be found in the X-Factor Secret Invasion collection. The gist of Secret Invasion was that the alien Skrull race had been infiltrating Earth for a considerable while, using their shape-shifting abilities to replace important figures as prelude to a full scale invasion. The discovery has more impact on She-Hulk than most as she’s been travelling the country with the Skrull Jazinda, an outcast from her people. The X-Factor crossover is an opportunity to prevent the invasion before it begins by capturing a Skrull representation of their Gods, The Talisman. 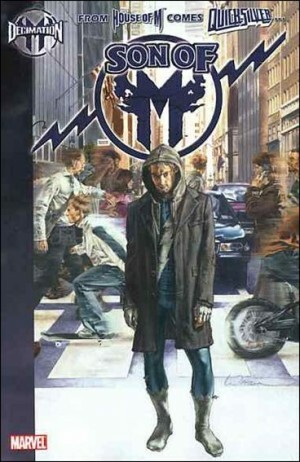 The story is basically one prolonged fight scene, marred by Larry Stroman’s art. His piggy-eyed characters are drawn as if about to wobble into the coloured void replacing backgrounds, all flailing limbs and distorted poses. The refined contrast of new She-Hulk artist Vincenzo Cucca doesn’t show Stroman in a good light. 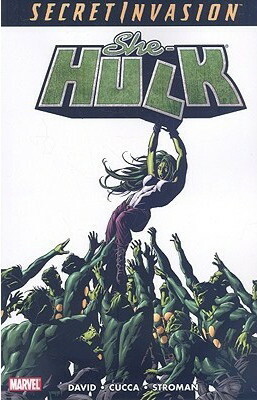 The remainder of the book continues She-Hulk’s attempts to prevent the Skrull invasion by manipulating The Talisman, a mission complicated by the Super-Skrull locating them. Possessing the combined abilities of the Fantastic Four, he’s a formidable opponent, and he’s also Jazinda’s father. The story reveals the origin of Jazinda’s unique ability, and why this blessing and curse led to her being exiled for bringing dishonour to her people. 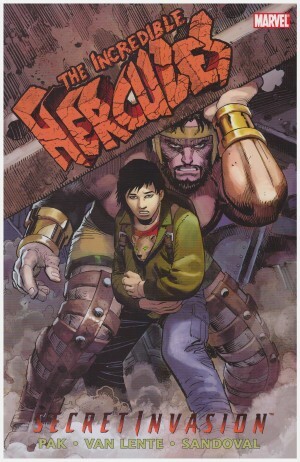 Perhaps due to Peter David having to work within someone else’s overall plot, and perhaps due to two of five chapters being poorly drawn, this is a volume that only really comes to life with a fine character-based sequence in the final pages. 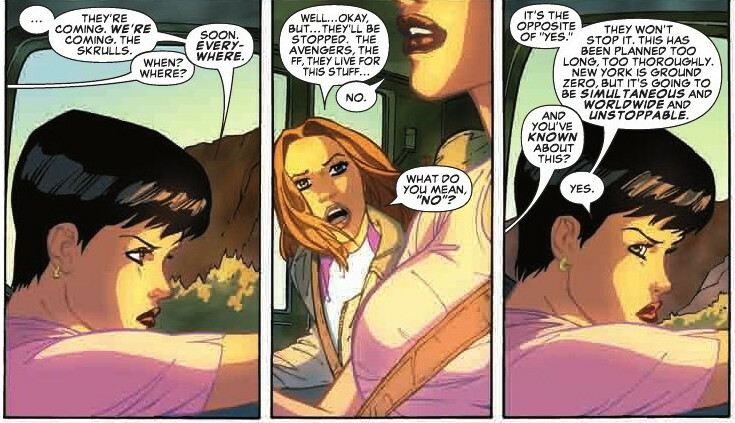 David’s She-Hulk continues with Lady Liberators.